Peter Warfield wanted a Christmas like none before. A celebration of putting the past behind them. Leaving Bradley Warfield and Moses Lee buried in the past. A new tradition of love and happiness for future generations. But, no one was cooperating. 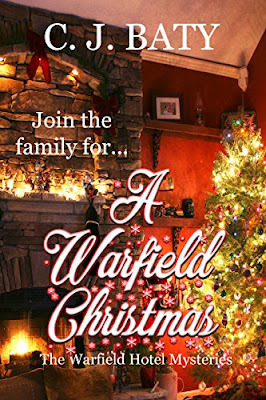 You are invited to celebrate the holidays with Peter, Sally and their daughter, Lily, at the Warfield Manor. There’s no murder to solve or a criminal to catch, but there are secrets to be revealed. Justin Warfield and Marcus Drummond aren’t speaking or telling anyone else what is going on. 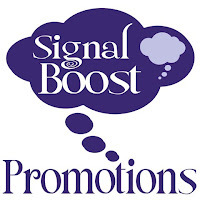 Damien Fitzgerald and Robert Wyler have been out of the country but is that really the truth. Sally’s been trying to tell Peter something important for weeks but he’s so wrapped up in Christmas, she can’t get through to him. Catch up with the rest of the Warfield extended family: Richard Brooks, Daisy Lee and their son Alexander, Krystal Smith, Winnie, Michaels and all the rest. One thing’s for sure, it will be a Christmas the Warfield’s will never forget. This book will be more enjoyable if you have read any of the other Warfield Hotel books. Like a beautiful package wrapped up with a shining bow on top, there's a happy ending for all.